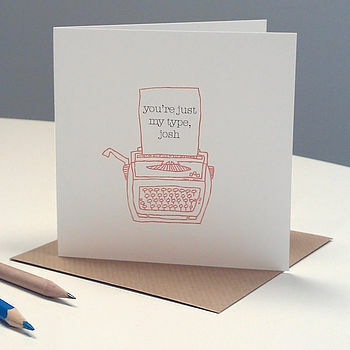 Show how special someone is to you with this personalised 'You're Just My Type' Typewriter Card. 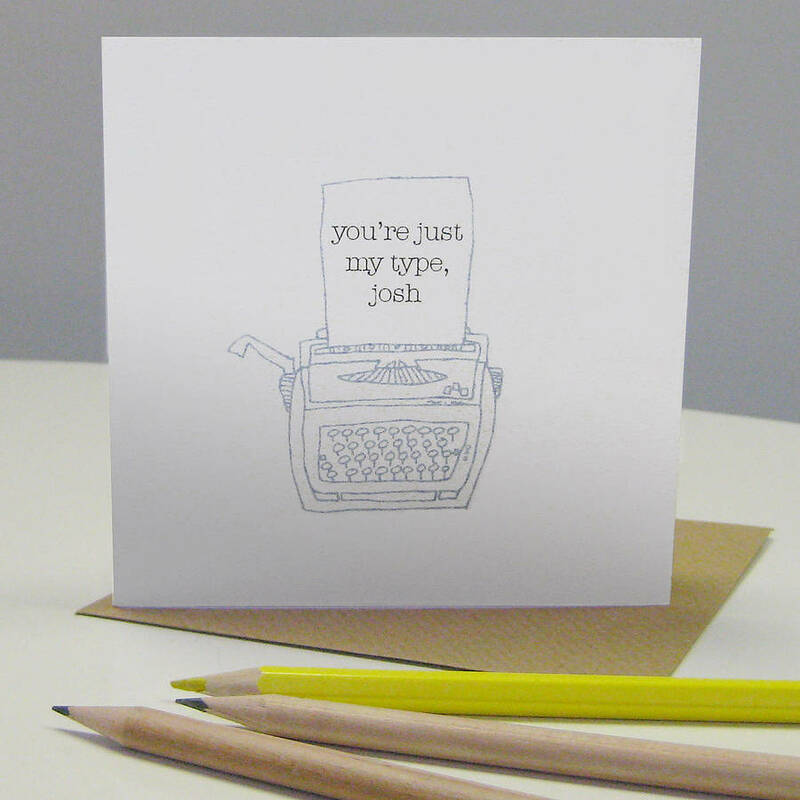 Printed with a design of a hand drawn vintage typewriter and the message 'you're just my type' and a name if requested, it's ideal for sending to someone you like, or love, or someone you really just enjoy spending time with! The card can be personalised by adding a name, or names of your choice to the end of the message eg. 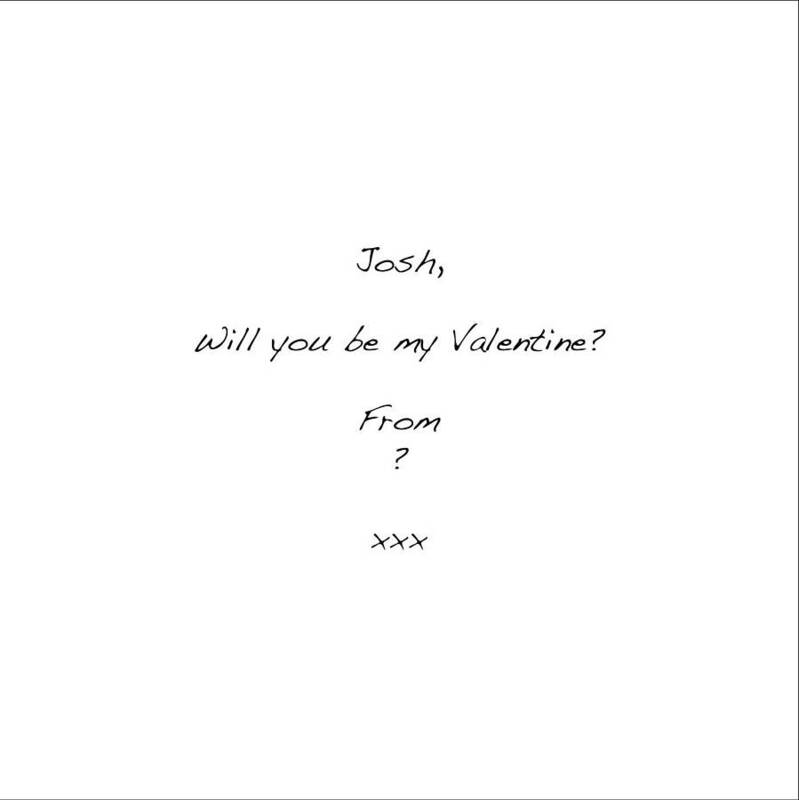 'you're just my type, josh'. Your card will be protectively packaged in a compostable clear bag, and posted in a hard back envelope to ensure it arrives in perfect condition. If you're in a hurry, your card can be sent direct to the recipient at a small additional charge. It will have your message, as written in the box on the right, printed in a black handwriting font inside the card. Enter the recipient's address at the checkout so it can be sent straight to them. The 280gsm, 100% recycled, white, square card is blank inside for your message, and comes with a brown, 100% recycled paper envelope. The card measures approx 12cm x 12cm.